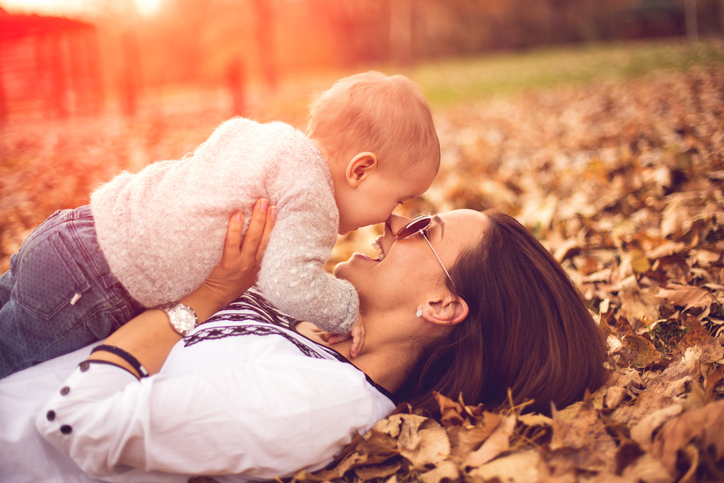 Being a healthy mom both physically and emotionally is important for your baby's development. Pregnancy is a time full of doctor's visits, vitamins and new health risks, but your physical well-being shouldn't be your only concern. Your emotional health is just as important, and part of that involves your relationship with your partner. If your worried about your post-baby relationship, take a quiz to see what's changed and what hasn't. Doing so can help you identify what you and your loved one need to address during this emotionally difficult time. To help improve your relationship right after baby, have a date night in the comfort of your own home. Create a custom playlist and dance in the living room, or take turns giving each other massages. Once your child is a little older, you can go out on dates or other adventures. However, simply cuddling your honey won't solve a pregnancy issue most women are afraid to confront: postpartum depression. Women often feel ashamed if they aren't absolutely overjoyed after giving birth, but postpartum depression is a complex issue that has nothing to do with your love for your child. It's important to note that postpartum depression is different from the baby blues. The blues are the result of your hormones recovering from birth and crop up a few days after your child is born. Depression can take weeks or even months to set in, and its effects can be overwhelmingly pervasive. It's important to understand and accept your emotions and seek treatment if necessary.